Home > Video Games > Reminder: Tomorrow Paul Gale Network will be sharing the “rumored” HUGE Wii U, Nintendo published, title. Reminder: Tomorrow Paul Gale Network will be sharing the “rumored” HUGE Wii U, Nintendo published, title. Last Saturday in this story, Paul Gale Network reported that on May 19th I would be sharing a high profile, truly HUGE rumored game in development for Wii U, published by Nintendo. I also said that I’d try to prove fact or fiction on this rumor ahead of time as to not get everyone’s hopes up, thinking or hoping it’s true, only to find out that it’s bogus. 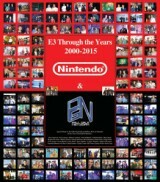 Suffice to say, I couldn’t get a peep out of any official source of mine from Nintendo or (drum roll please) Retro Studios on the matter, so tomorrow you’ll sadly being getting just another unconfirmed rumor heading into E3 2012. There were two sides pulling me, one in the “launch it” and one in the “don’t bother” category. I wasn’t going to bother contributing to one more rumor on the internet this close to E3, because every site’s already flooded as is with speculative stories. The reason why I have decided to launch it, however, is because this is a personal one for me. It was last year on April 18th that I revealed that Retro Studios was working on “a project everyone wants us to do” as my official sources told me. It’s been exactly 13 months since that story debuted (and just a little longer since I was privy to the information) and I’ve learned nothing more all this time. If my sources confided in me with the truth and would ask me to not share it, I would honorably oblige. Since the information coming to you tomorrow doesn’t come from either individual, I’m allowed to put it up and call it a rumor. Like I said before, I refrain from putting up 90%+ of the rumors I receive, purely to avoid the expected backlash that usually comes with and because I don’t wish to get your hopes up. Previous post: Have a look at what Unreal Engine 4 is capable of with Demon Knight. 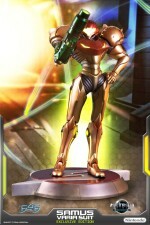 Next post: RUMOR: Is Retro Studios’ Wii U game “Star Fox – Metroid: Fusion Saga”?